Al Masar Gallery for Contemporary Art will host a special event on the revolution titled “Bahgory on Revolution” on Sunday 22nd January at 7PM. The event will continue through February 7, 2012. 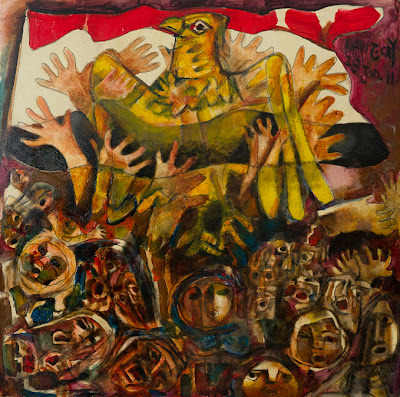 Bahgory on Revolution is a special event on the revolution by renowned Egyptian artist Georges Bahgory showcasing all the artist's post revolution artworks to date. The artworks on display present bits and pieces of the rundown of events in 2011. 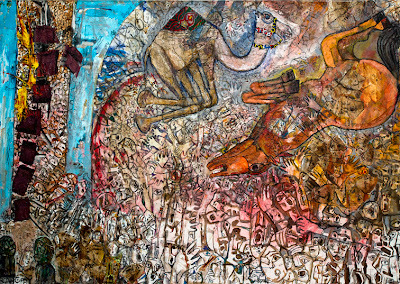 Some paintings mainly represent and depict scenes from the events that took place on the 2nd of February 2011, referred to as "The Battle of the Camel". Other paintings shed light on the simple beauty & warmth of the Egyptian social life & some familiar everyday scenes from the streets of Cairo. Bahgory is also representing through his paintings other sources of inspiration such as the charm of music & his fascination by the Egyptian music legend Om Kulthoum. 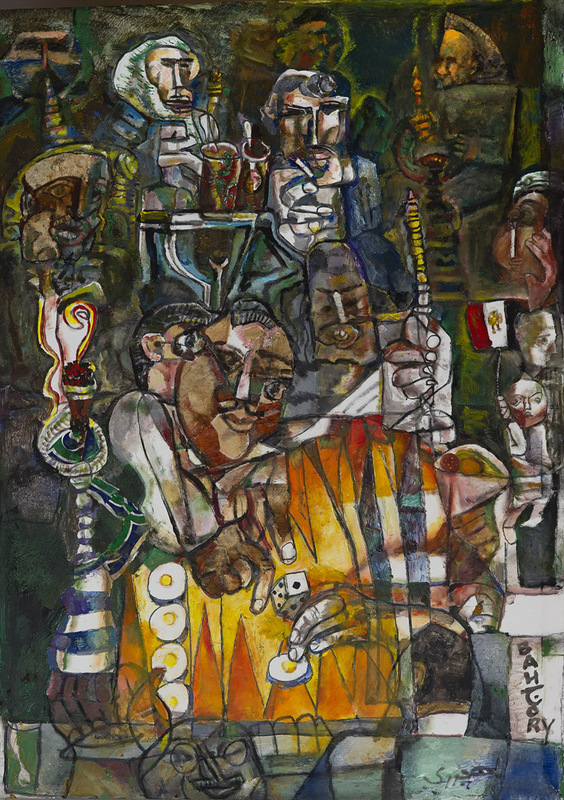 Georges Bahgory is a renowned Egyptian artist from the third generation born in 1932 in Egypt, and currently living between Cairo and Ivry, France. 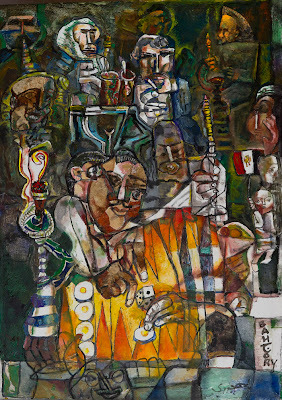 Bahgory studied Art at the Faculty of Fine Arts in Zamalek, Cairo, 1955 and at the Academy of Fine Arts in Paris in 1970. 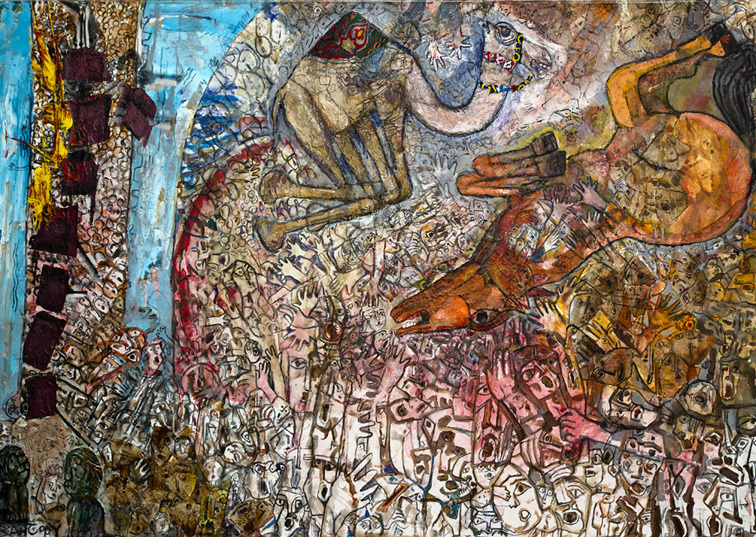 Upon a special invitation from the Society of Art Lovers in Paris, his works were selected to represent the Egyptian Pavilion at Louvre Museum in 1999. A face from Egypt was given the Silver Medal award and his name was added to the list of great masters of art. His wood and bronze engravings were on display in many galleries in France and Canada. He also created two granite works during the Aswan International Symposium of Sculpture. Bahgory was also a prominent cartoonist of the two weekly magazines of Sabah Al Khair and Rose El Youssef. He was voted the No. 1 Artist of Portraiture in France, Italy and Spain. He published “Trilogy of Icons”, a novel which was acclaimed by prominent literary critics such as Dr. Salah Fadl and Edwar Al Kharat. 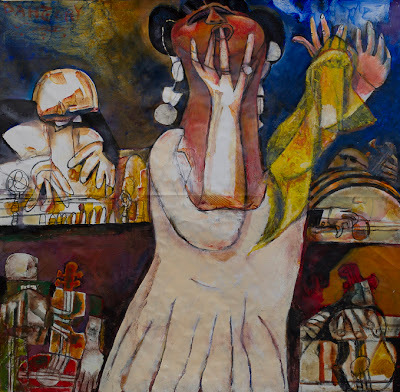 Some of his works were acquired by the Museum of Modern Art in Amman and the Museum of Modern Art in Cairo. Al Masar Gallery address is Baehler's Mansions, 157b, 26 July St., Ground floor, Zamalek,Cairo. 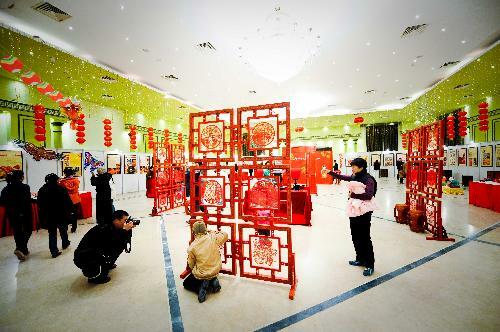 Chinese New Year is observed for two consecutive weeks, and is popularly known as Spring Festival. It usually starts from late January and early February. The variation in the date of festival is due to the changes in the track of the new moon. The Spring Festival ends on the 15th day when the Lantern festival is celebrated. In 2012, Chinese New Year’s Day will be celebrated on January 23. The New Year festival will start from January 22 (Chinese New Year' Eve) and end on February 6 (Lantern Festival). 2012 marks the 4710th Chinese New Year, and this time it is the year of dragon according to the Chinese zodiac calendar.